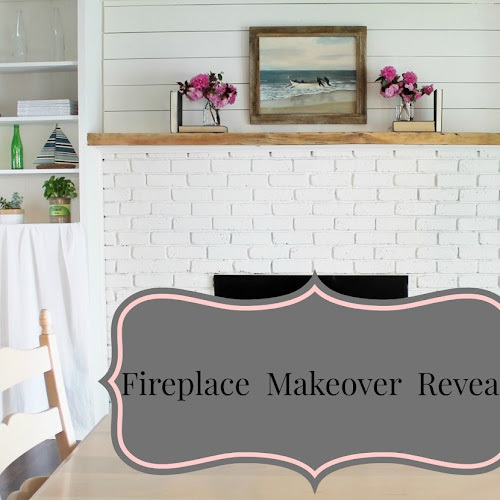 I have another fun chalk paint project to share with you! I was so happy when the Americana Decor Chalky Finish Paint arrived in the mail. I couldn't wait to get started on my paint project!! I didn't need to use the Multi-Purpose Sealer. I am sure I will use it for another project! My husband rescued this desk from his dad's attic. It has been in the family for many years. A lottery ticket dated 1987 fell out of one of the drawers. I'm guessing it wasn't a winning ticket. This project was quite a challenge. We stored the desk in our garage for a few days until I was ready to paint it. When I pulled it out of the garage the wood piece on the back fell off, the side rails were hanging and both of the drawers fell apart. At this point, I wasn't sure if I should go ahead and paint it. The desk needed to be put back together and I needed a day or two to think this through. Because I fell in love with this piece, I decided to go ahead and paint it! First I did a quick fix on the drawers (I will show you my quick fix in another post). I was able to hammer the side rails back together. However, I was unable to fix the back piece because the dowels broke off inside the holes. Most of the desk is constructed with dowels. Here is the desk after one coat of paint! Americana Chalky Finish Paint did an amazing job covering up the marks on top of the desk. I was thinking of using the desk as a makeup table in my daughter's bedroom. I love the bright fresh color but it is to light for the muted colors of her room. I gave it an antique look using a simple paint method I used on my living room mirror. This method will give you a similar look of a dark wax. (At least I think it does) It is really easy to do!! First I sanded the edges and dusted them off. Then I used craft paint mixed with water. I poured about a tablespoon of raw umber and burnt umber craft paint in a jar and mixed it with water. Sorry, I do not have exact measurements I just mixed the paint with the water until I got the right consistency. Which was very watery. Then I dipped a rag into the mixture and rubbed it on the desk in a back and forth motion. I kept dipping and rubbing until it looked like this. I love how this desk turned out! I am glad I went ahead and painted it using Chalk Paint. Beautiful makeover, Julie! I love the color! I love the color. I have some Anne Sloan chalk paint I bought, as in 3 quarts of different colors and have yet to use it. Really love the color choice what an amazing piece of art! keep going.